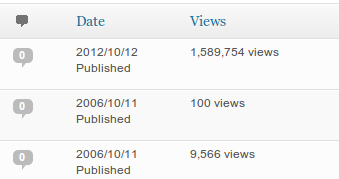 One feature which is in Joomla but not in WordPress is the post views count. Some WordPress plugins exist to provide this feature. The most popular one is WP-Postviews by GamerZ. If you want to import the Joomla post views into WordPress and use the WP-Postviews plugin, you can now use the WP-Postviews module which is an add-on of the FG Joomla to WordPress Premium plugin.